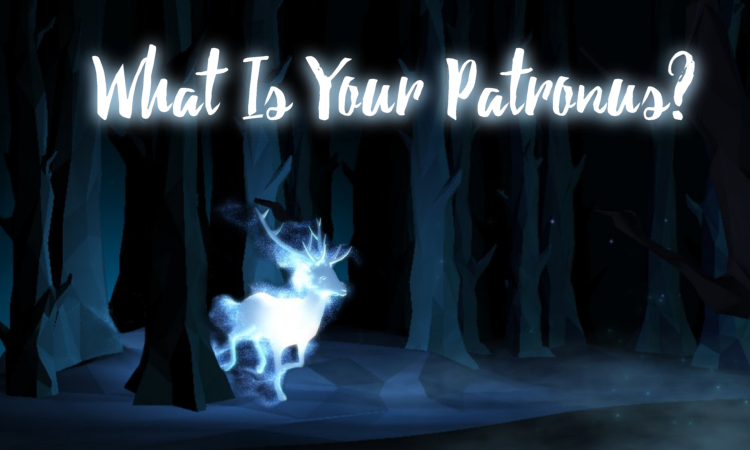 Oh So Geeky: Pottermore Releases New Quiz: What's Your Patronus? Pottermore Releases New Quiz: What's Your Patronus? As far back as Pottermore's old beta-mode in 2011 for their initial interactive launch, the site has been promised a Patronus quiz for young witches and wizards. Finally, FINALLY, our dreams came true because Pottermore released a Patronus quiz. Surprisingly, taking the test was a little emotional for me - not almost as emotional for me when I took the Sorting Hat quiz and was literally praying to the powers-that-be I ended up in Gryffindor ('cause I always was sorted in Gryffindor). Growing up, I always thought of my patronus as my dog Lola, a Jack Russell Terrier. As my best friend who was almost like a therapy dog for me, she was by my side for twelve years (half of my whole life) before passing away last year. She is still a source of so many happy memories, but like many important parts of our pasts, my time with her now has a subsiding grief over a lost companion. My only other consideration for a Patronus was a duck at one point. Only because one of my hobbies is to swim as much as possible. It was good a reminder that a Patronus can change over the years, so it wasn't very realistic to have a major attachment to any result. Eventually, I put my big girl Hogwarts robes on and went for it like Harry trying to catch a golden snitch. I was a little surprised by the quiz, to be honest. At first it tells you to be calm and think of your happiest memory. Which kooky and geeky me made me smile of my dog or swimming or reading. But then the prompts are timed so I have to choose quickly or it will move to the next. I was asked to choose leaf, blade or thorn, hope, trust or love, who or why, sweet or salt, mind, heart or spirit..
My result was a robin. Pottermore doesn't include more info about the kindred animal's meanings, so I dug around. Robins as symbols represent (to people) putting dramas behind them, seeking joy, reveling in a song, and look for new beginnings for growth. A part of me almost wants a hippogriff-like patronus that's a bit of everything: half-dog, half-duck, and half-robin. but a robin suits me too. What were your results? Are you happy with your Patronus? Feel free to share in the comments below!